Just because you are looking to get some armor does not mean you need to spend a fortune on it. This Ready for Battle Breastplate - Dark Metal Finish is a straightforward piece of protection for a modest sum of coinage, one that looks as good as it performs! 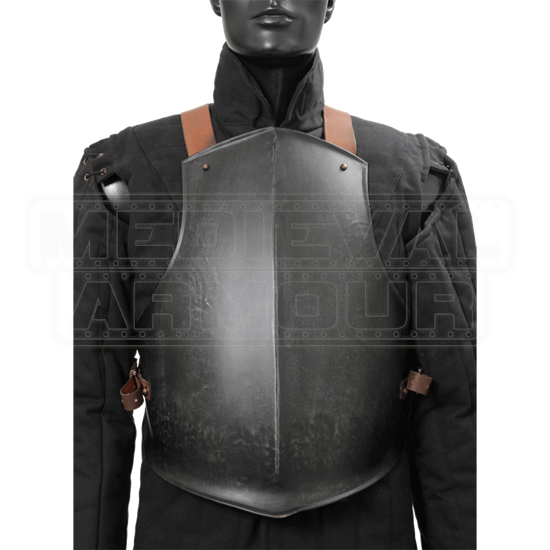 This breastplate is designed so that it can be worn without a back plate, and it comes complete with all the buckles and straps necessary to put it on. It is crafted entirely in quality 18 gauge steel, which is thick enough to absorb impact and look incredibly realistic, while being thin enough to bend just slightly as need and sizing demands. 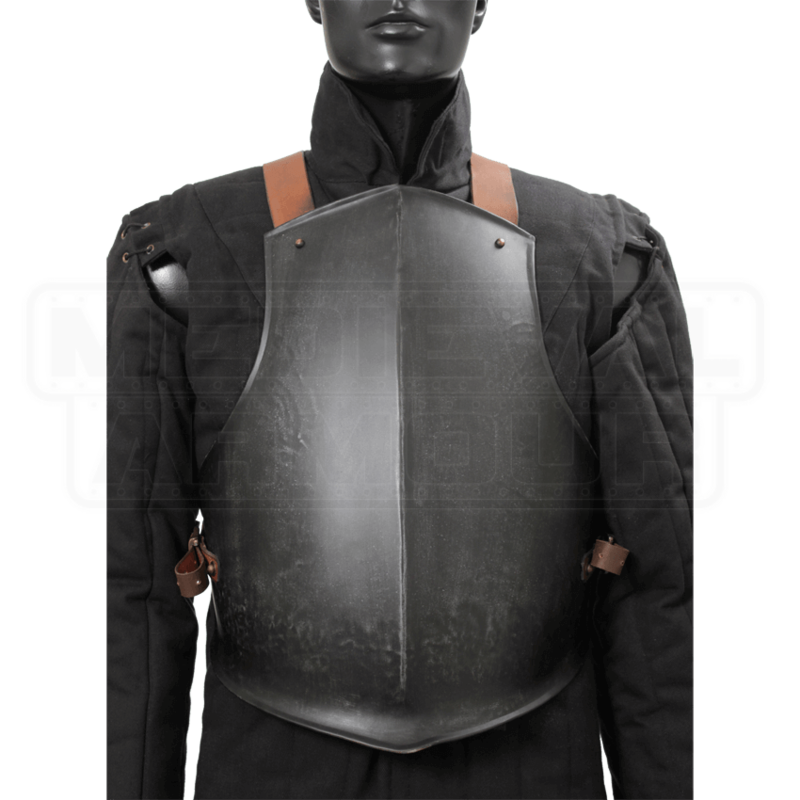 When worn, it covers the front of the torso and curves around slightly onto the flank, just under the arms, which ensures that your shoulders are free to move (and so are your limbs), while your core receives plated protection. The best part is that thanks to its unique finish, this Ready for Battle Breastplate - Dark Metal Finish is also highly resistant to rust and scratching, which means that for such a low price, you get an intimidating, impressive, and altogether hardy piece of armor to use and enjoy in your costuming and LARP endeavors! Please note that due to this manufacturing method, there will be color variants from the pictured item. Some finishes may be slightly lighter and some may be darker. Item was exactly as described, and lo and behold, it actually fit comfortably around my ample girth. I had someone take a few whacks with a practical sword while I wore it, and the armor does its job quite well. I will, in all probability, purchase armor from here again.